In the United States, the number of trailer theft accounts up to more than a hundred thousand stolen freight containers per year. If modern-day bandits can brazenly steal something that heavy and colossal, you know your camper trailer or mobile home doesn’t stand a chance. Thieves may not consider stealing RV’s a profitable venture, but this excuse doesn’t stop any of them from trying. Although there is no statistical data comprehensively estimating RV theft in North America, the prevalence of these petty crimes are well-documented in the United Kingdom and Australia. To prevent becoming another victim that reports this crime first-hand, you need security measures such as a fifth wheel hitch lock. 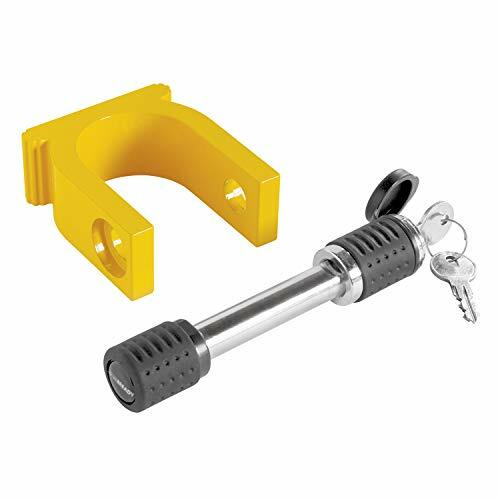 A fifth wheel hitch lock prevents theft by wrapping itself around the trailer’s king pin. By over-sizing the shape of the coupler, a carjacker will be unable to latch the mobile cargo into the shape of its hitch. It stands to reason that careful trailer owners need a quality king pin lock. Material durability: the level of quality after prolonged use and the capacity to absorb physical blows. Anti-theft design: the shape and overall functional security features (e.g. keyhole, padlock, or receiver lock). Installation convenience: the level of difficulty associated with assembly and regular usage of the 5th wheel king pin lock. Weatherproof capacity: the capacity to prevent water from seeping into the lock’s interiors, or the ability to withstand extreme temperatures. There are plenty of king pin locks sold in auto hardware retail sources online. With the prodigious volume manufactured and distributed worldwide, it’s even harder for online reviews to keep track of promising new ones. This type of 5th wheel king pin lock is popular among campers – with an overwhelmingly positive consumer reviews online. It is acclaimed for its neat and sophisticated design. Made from strong aluminum, the lock also comes with a weather-resistant finish. Considering the manufacturer’s emphasis on quality, finding a flaw in this model proves to be challenging. If there is one, it is characterized by its non-threatening appearance – reportedly failing to deter thieves from making failed attempts. 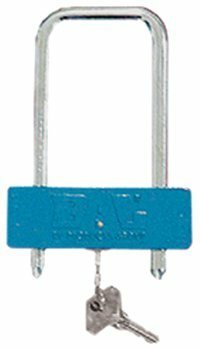 For a trailer king pin lock manufactured from China, its origin alone may imply poor quality. Fortunately, the performance of its steel makes every RV feeling secure leaving their mobile homes unattended. 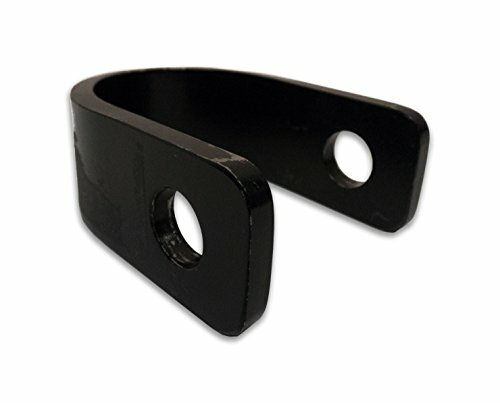 Among its highlighted features include an easily detectable and corrosion-resistant lock collar. This model is often noted for its convenience of use. However, several consumers report a relative difficulty in terms of unique king pin sizes. You need to seriously consider the product diameter before purchasing one. Unlike the previously mentioned brands, the RoadPro Heavy Duty covers the entire king pin tightly. 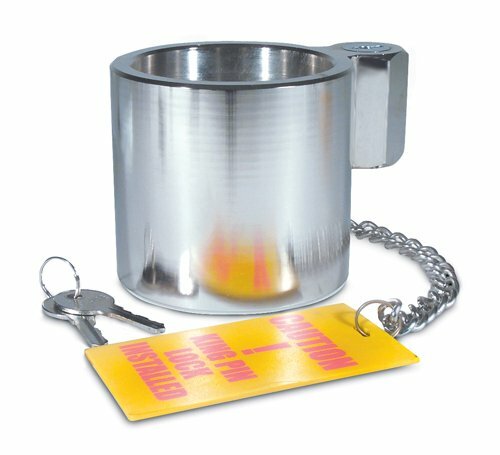 This 5th wheel king pin lock also comes with yellow warning tag hanging from a 12-inch chain. In most cases, the king pin lock looks just as crisp as it was first sold. One of the principal complaints about this king pin lock is that its keyhole has a very rudimentary shape. Any clever and determined thief could replicate the right key with relative ease. 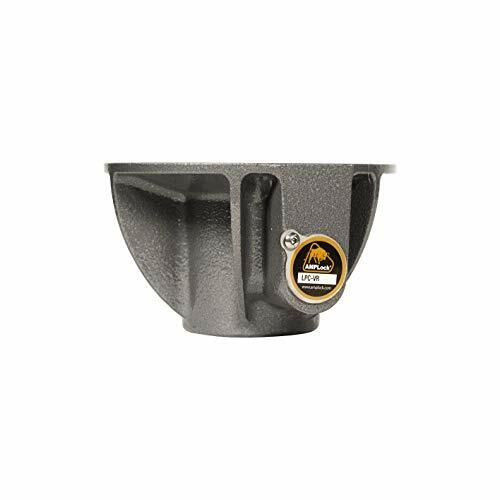 This conical king pin lock is created out of finely forged metals – a combination of stainless steel, heat-treated steel and cast iron fashioned under 65,000 BTU. This gives you a material that is able to withstand high levels of physical and environmental abuse. It also comes with a control and identification locking system. Considering the impressive material it was created from, don’t be surprised to find this item nearly thrice or four times more expensive than other brands. This product entails a serious investment. The Eagle Pin Lock is notable for its glaring orange powder coat covering its cast steel body – sleek and easy to spot from a distance. It even comes with the same 22-inch orange ribbon for added visibility at a farther vantage point. Another impressive feature of this item is that its key is finely molded to baffle any counterfeit smith that attempts to duplicate it. It’s two unique and limited edition keys are one thing. The keyhole, however, is not shaped from a very durable alloy. In fact, one consumer report describes how it easily budges from a forceful stab and jiggle of a small pen knife blade. Easy, handy and obvious – these are the three adjectives that fit this item as conveniently as it does around the king pin. Sporting an intense yellow epoxy coat, this brand has one of the best waterproof materials on the market. Weighing only 1 pound, this product is also among the most lightweight variety of its kind. 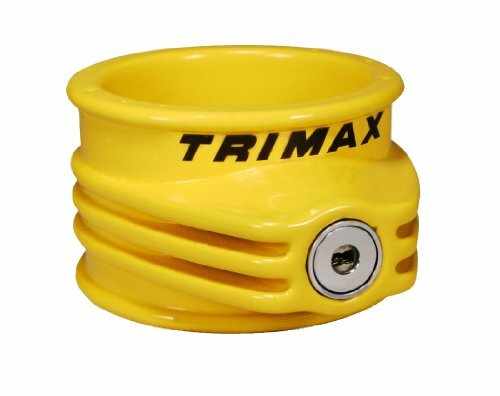 The ironic thing about the Trimax Ultra Tough is that it seems to fall short in terms of its capacity to absorb physical abuse. Resembling the same sturdiness of a metal pot, you have every cause to worry about thieves armed with a sharp pickaxe. 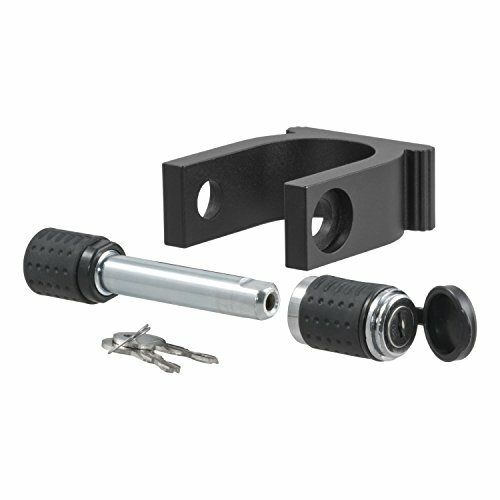 What makes this trailer king pin lock likable is the fact that it is not obvious. Any reckless thief can assume that the king pin is unlocked and may even hitch the trophy RV into their getaway truck at their own peril. As far as material quality goes, it is built to withstand decades of use. While it stacks up to the test of time and climate, this item seems dangerously vulnerable to sheer brute force. In fact, the alloy collar is slender enough to fit between the jaws of a bolt cutter. This item is made from T6 aluminum class – which means it can withstand intense heat due to its good temperature control. In addition to the finely forged alloy, this lock also sports a bright yellow paint on the collar. Lastly, it is also easy to use. Among the chief concerns expressed by many consumers is its compatibility with various king pin sizes. This is one particular item which requires you to do a couple of measurements if you don’t want to deal with the return-and-exchange paper-trail. If you have a special preference for lightweight material, you’ve got to love this item. 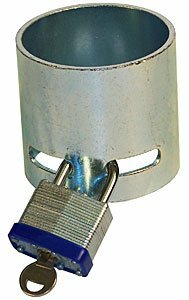 This lock weighs less than 1 pound yet it boasts a very solid steel collar that wraps tightly around the king pin. Any physical attempt to break it free from the RV coupler is bound to fail (even embarrassingly). The only real downside of buying this item is that you’re not actually getting the full value of its retail cost. Why? Because the 5/8 inch receiver lock that’s meant to secure the collar is bought and sold separately. The Ultra-Fab king pin lock is made of heavy steel gauge reminiscent of a medieval knight’s armor. It would take an amazing lack of common sense for a trailer thief to even consider using brute force judging from its robust look. Lastly, this king pin lock is quite easy to set up. It seems easy for anyone to appreciate the bargain cost considering that the padlock is already included in the item distribution. 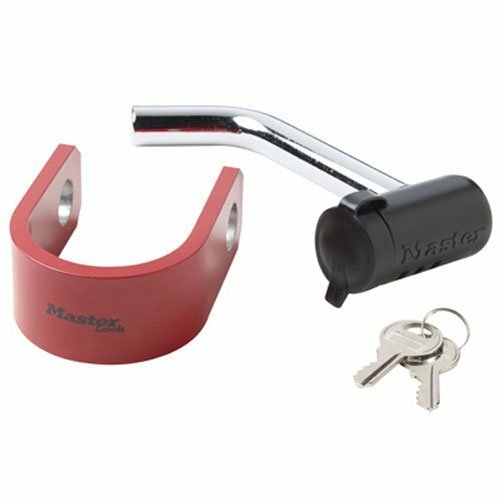 However, you have to be aware of the usual complaints concerning the padlock’s ability to secure the metal sleeve. It is the one chink in the armor that cunning robbers will be exploiting.